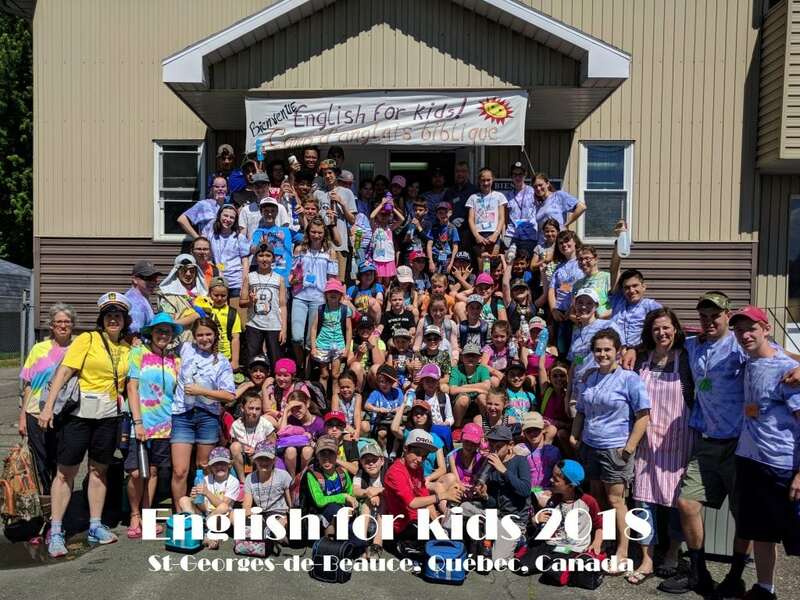 For over 10 years, a team from the Presbytery of New York and New England has conducted a week-long "English for Kids" Bible Camp in St-Georges de Beauce, Quebec. The camp is associated with those of the same name directed by OPC Missionary Rev. Ben Westerveld in Quebec City. The team is often filled completely from within the Presbytery of New York and New England, so the need for recruitment of additional team members through this website does not always occur. What: English immersion Bible day camp for French-speaking children aged 4 to 14. Duration: Camp takes place Monday through Friday with a closing program on Friday evening. Team arrives and leaves on the Saturdays before and after. Team members: Aged 13 and up; younger may attend with parent or responsible adult. Individuals or groups may apply. Costs: Each team member should aim to raise $175-200, including travel and food. Housing: Team members will stay on church premises or in church members’ homes. Bringing your own camper is also a possibility. To immerse campers in English so they can practice listening to and speaking English (very little reading and writing). To communicate to the children that there is a God, that He speaks through the Bible, and basic facts such as that God made the world, that Jesus is God’s Son, that He is the way to know God. They will probably be able to learn a few Bible verses in English with understanding, and 4-6 songs in English with understanding of the basic meaning. To communicate to the families that there is a local church that knows and believes God and that they can come there to learn more about the Truth. To create opportunities for the local church to interact meaningfully with the families of the kids that come. Individuals in the church do a conscientious job of followup with each family in the program. Over the years, they have come to know returning families quite well.